Why does Mother's Select do what they do? SO...WHY DOES MOTHER'S SELECT DO WHAT THEY DO? One thing they don't tell you at the hospital or doctor's office is how common it is for your baby to have food allergies. Milk and Soy are the most common food allergies in infants -- and take a look at most of the prenatal and postnatal vitamins on shelves today..... they contain milk and soy or worse!!! This is because these fillers are very cheap for the supplement companies to manufacturer, and even if the allergen is contained in the “other ingredients” it is still active and highly damaging to a child with an allergen. All of the Mother's Select Prenatals and Postnatals are free from these common allergens, made with only the highest quality ingredients, and without nasty chemicals or fillers! The other thing they don't tell you, is that a lack of breast milk production is a huge problem for many mothers, and the biggest reason for giving up on breastfeeding and switching to formula (which has the same nasty allergens and fillers as some of the popular prenatals). Sometimes all your body needs is a jump start or boost to help produce the high quality breast milk your baby needs! That is why Mother's Select developed the Nursing & Lactation Plus and Organic Goat's Rue formulas among others, so you can give your precious newborn all the benefits that breastfeeding offers! Try these two formulas together for a fantastic 1-2 punch combo, when needing a boost in milk supply! Most mothers report an increase in milk supply in 3-4 days, but if you don't see that, please contact us so we can help in any way possible! We love our babies, and the lack of sufficient prenatal nutrition, baby allergens, and decline of breastfeeding concerned us enough to take a stand! As mothers and experts ourselves, we will not stand for anything except the very best for our children! Our lifelong goal is to help mothers and babies with their health and nutrition, and help navigate some of the hardest decisions of motherhood! 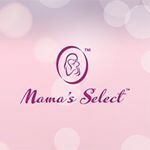 That is why we developed Mother's Select, For The Love of Mom and Baby!